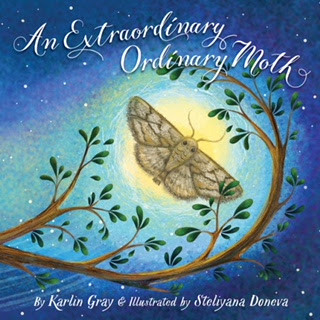 Today we are pleased to feature Bulgarian illustrator Steliyana Doneva and her latest book AN EXTRAORDINARY ORDINARY MOTH, by Karlin Gray (Sleeping Bear Press, April 2018). My name is Steliyana Doneva and I'm from the wonderful country of Bulgaria in Eastern Europe. My love of drawing began at childhood when I started attending art classes. In high school I studied applied arts with a specialty in children toys. I graduated from university with a graphics degree. After graduation I worked in studio for animations. Throughout all this time though, my greatest love has always been children's books and their amazing world of words and images. When the first offer for a book came, I started. 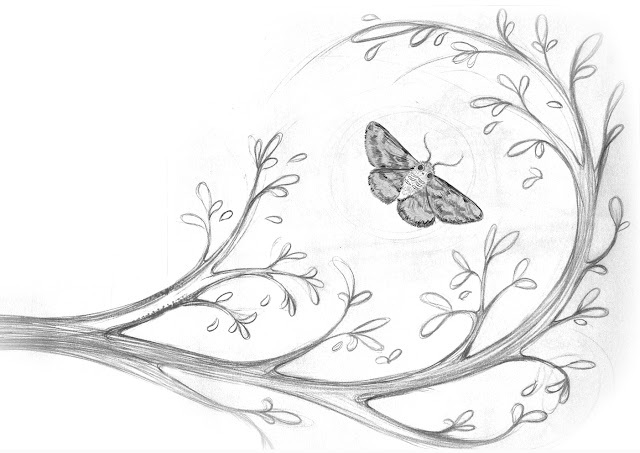 Congratulations on your book, AN EXTRAORDINARY ORDINARY MOTH! What kind of research did you do to illustrate it? Thank you! My work on the book AN EXTRAORDINARY ORDINARY MOTH was a great pleasure for me. The text of the writer Karlin Gray is spontaneous and dynamic-- awakening my imagination. The design of the text by Felicia Macheske brought me a feeling of flight. For hours my children and I observed the moths described in the book--the way they fly, their shape, and the rich variety of species. 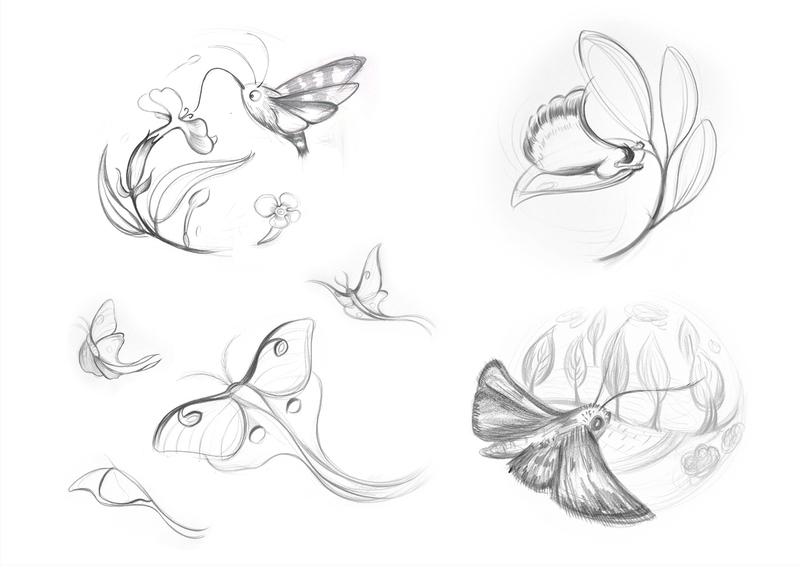 I never would have guessed that they are so marvelous, even the ordinary moth. First, I read the text and let my imagination take over. 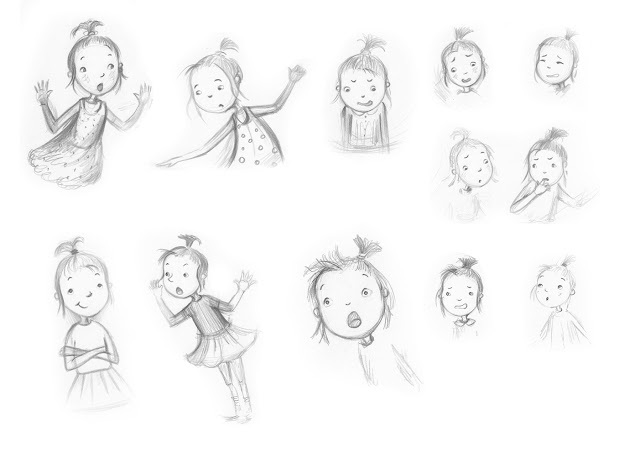 After that I take the pencil and start playing with the characters until they become cute enough. Then I put them into their own story and explore their emotional state. I work on the compositions and think about their influence and then after all that, I stain in colour. Do you work for publishers in different countries other than the U.S.? If so, are there any differences in the way publishers work from country to country? At the moment I'm working mainly for the USA, thanks to my agent-illustrator Mela Bolinao, "MB Artists." I'm so glad she brought me into this big family of very talented artists. Her experience, constructive advice and guidelines are greatly useful. The work with the American publishers is at a high level at every stage. Generally I'm not in the spotlight. I'm an ordinary wife and a mother of three children. What people don't know about me would be hard to be said in any other way but in my work. 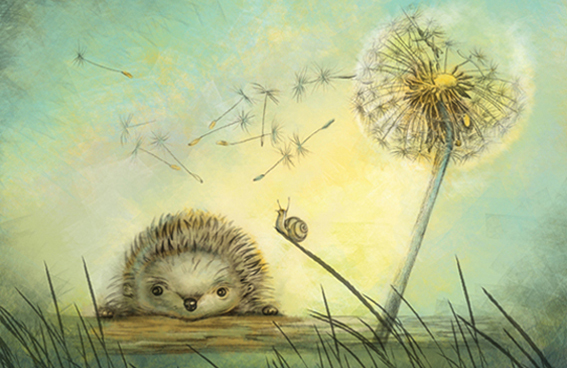 Steliyana Doneva is a children’s book illustrator living in Sofia, Bulgaria. Her love of painting and drawing started in early childhood. Steliyana studied applied arts in Sofia, specializing in children’s toys. 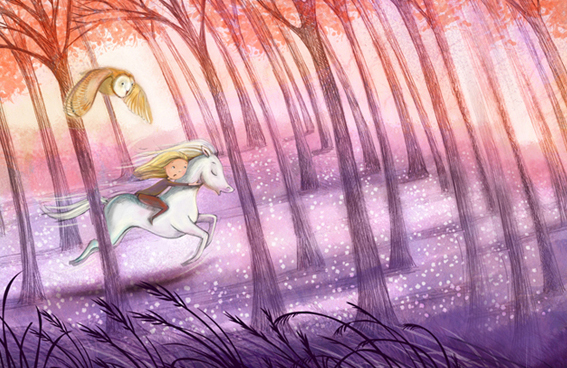 Then she graduated with a degree in graphic arts, where she found her love for children’s book illustration. 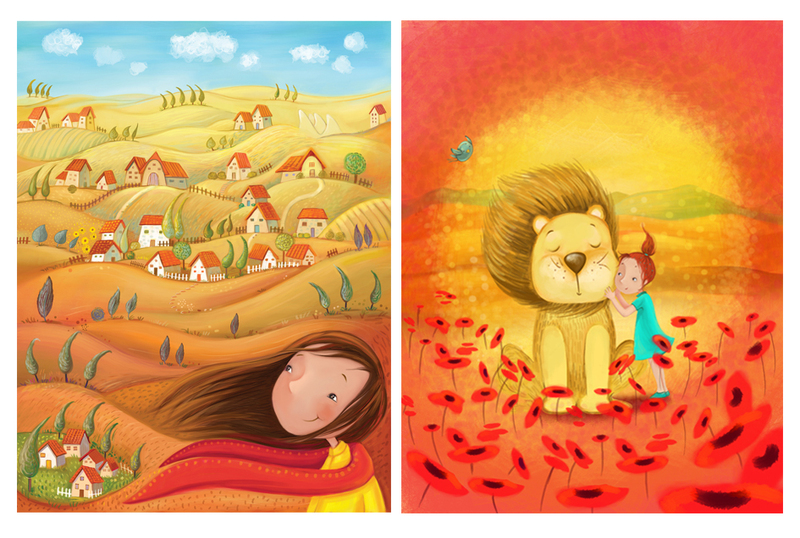 Steliyana is very happy to be an illustrator for children’s books. By doing this she is immersed in the beautiful fairy-tale world where the soul can fly without restraint. 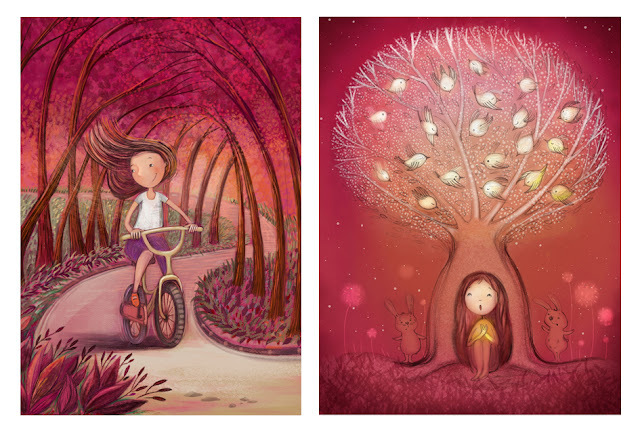 These illustrations are stunning! Aren't we all just regular wives and mothers with hidden talents? I love your art, Steliyana--it's lovely!! Congrats to you and Karlin! Can't wait to read it :)! 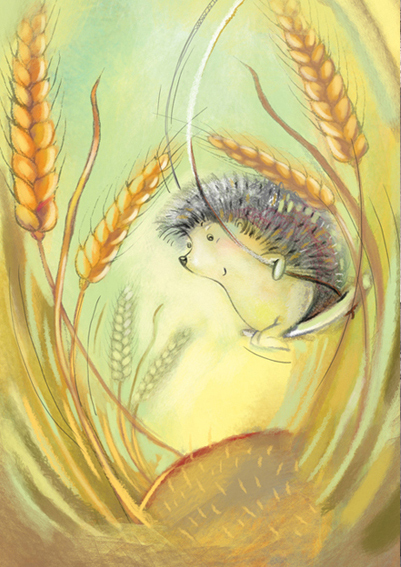 And those hedgehogs are so cute! This was on my list to get! I was just waiting (not-so-patiently) for our library to get a copy. I was so excited to see it here! Absolutely LOVE the illustrations. Love your art work!! Congratulations and continued success. These illustrations are adorable! My grandchildren would love this. Congrats on your book. I like the image of the happy lion, and the one with the rolling hillsides! 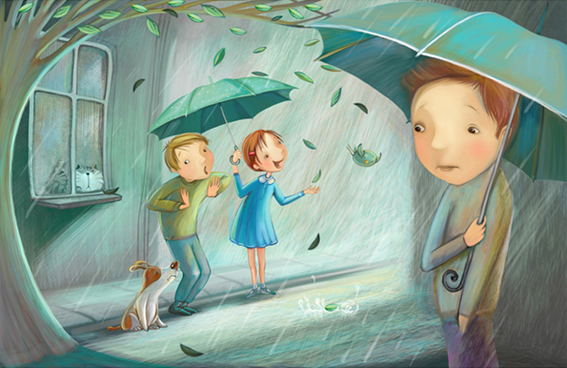 I enjoy the emotions and sense of motion in your illustrations. Your art is amazing. Your illustration style is vibrant and lilting. I can feel the energy in each of them as I lose myself in their artistry. Looking forward to seeing more of your work Steliyana!